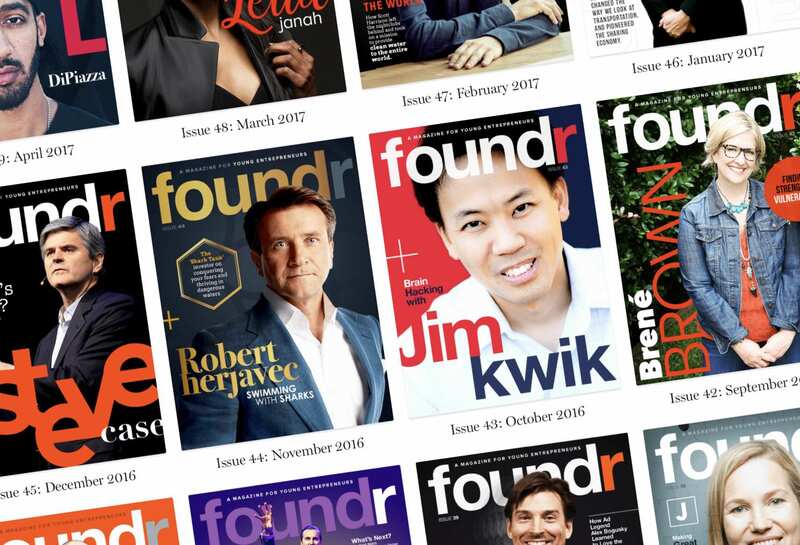 Foundr was just a business magazine with a few hundred readers. But we’ve grown. Now, Foundr is a multi-faceted digital media business spreading the love of entrepreneurship through its podcast, magazine and training platform. And Foundr magazine is now enjoyed by thousands upon thousands of entrepreneurs located all around the planet. Launched by entrepreneur Nathan Chan in 2013 with nothing but a laptop computer and his limited personal dollars, Foundr began dedicated to the mission of helping entrepreneurs build and grow a successful business. Nathan has put together interviews with literally the world's top entrepreneurs and changemakers, from Virgin founder Richard Branson, to Seth Godin, to Tim Ferriss, these guys are absolutely crushing it. And they have over 763 thousand followers on Instagram where they've driven a large portion of their intial traffic. . In the episode, Nathan walks us through his entire mindset and the constant ups and down of building a multi-faceted digital media empire. I had a chance to sit down with Nathan Chan of Foundr to discuss the magazine’s success and find out what it’s done to get people to open their wallets for digital content. Nathan Chan is the founder of Foundr an online magazine for entrepreneurs. He started it as a side hustle, and over the last few years has grown it into a powerhouse brand producing content for entrepreneurs like Richard Branson, Arina Huffington, Seth Godin, Mark Cuban, Gary Vaynerchuk, Tim Ferris and more. In this interview, Nathan shares some of his best secrets for getting hard-to-reach people to notice you, providing value to others, the importance of following up, and more.